The audiobook turned out even better than I'd hoped, complete with music and sound effects -- like an old radio show. Seeing how The Lone Ranger and Hopalong Cassidy inspired these tales, I'd say Rich Brennan's work is just about perfect. 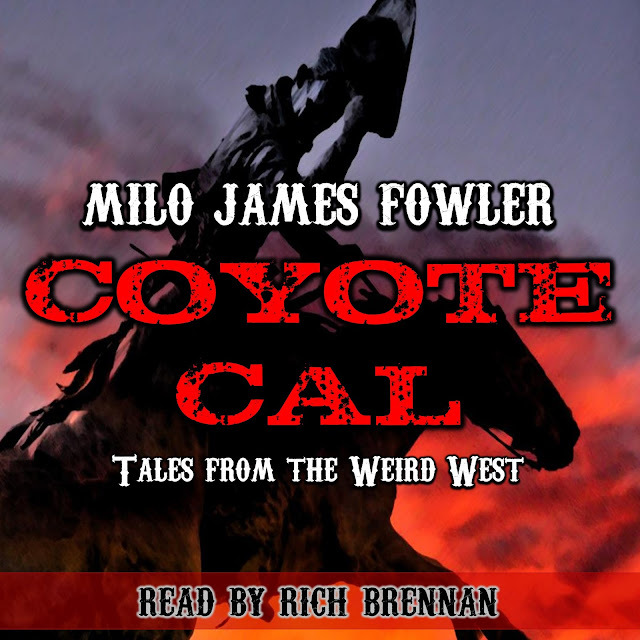 In these thrilling tales from yesteryear, Coyote Cal and his trusty sidekick Big Yap encounter a wizard able to change his shape at will, a scheming witch, a confused zombie, la chupacabra grande, bloodthirsty vampyres, and other sordid fiends. Our heroes will have to rely on their wits, skills, and loads of hot lead to ensure justice prevails.